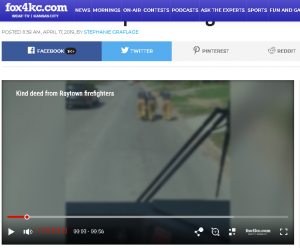 Talk about being there for those in need…the Firefighters in Raytown just set the bar! This persons’s electric wheel chair stopped in the middle of the road & these guys pushed it! LOVE THIS. Fox4 has the whole video here!